There are many natural alternatives you can try before the aspirin and the anti-inflammatory medication. These foods will also simultaneously improve your health with powerful nutrients which can help prevent future pain and illness…and they taste incredible! Chronic pain can really deter you from doing even your favorite activities or everyday routines. Anyone who suffers from any kind of chronic pain can surely tell you how difficult it is sometimes to get out of bed in the morning because their back, knee, or neck has ‘pins’ in it. Pain is a huge de-motivator and chronic pain has been linked to depression and cancer. Inflammatory cascades also cause many adverse effects that can cause soft tissues, and even internal organs, to swell and cause pain, discomfort and sometimes even hospitalization. Pain can be controlled in the long-term by dietary changes. Using prescribed pharmaceuticals or even over the counter pain pills will always result in some type of re-occurrence in pain patterns since they only address symptoms and not causes. The key is a diet filled with foods that bombard your body with the right nutrients to sustain health and prevent pain. Here is a list of 21 anti-inflammatory foods. Ginger is one of the best ways in the world to reduce pain because it has analgesic properties like the popular ibuprofen. It contains a quartet: gingerold, paradols, shogaols, and zingerone which are active ingredients for eliminating pain. Ginger reduces pain-causing prostaglandin levels in the body. A study by researchers found that when people who were suffering from muscular pain were given ginger, they all experienced improvement. The recommended dosage of ginger is between 500 and 1,000 milligrams per day. Drink Ginger Tea or place shavings in your foods. Either way will get you relief from that recurring pain. A daily glass of Acai Juice is associated with reducing pain in joints and correlates with improved blood antioxidant levels. This powerful, antioxidant-packed berry from the Amazon is helping people feel better and increase their energy levels all while detoxifying the body. Headache studies show that 200 milligrams of caffeine – about the amount in 16 ounces of brewed coffee – provides relief from headaches, including migraines to some extent, by constricting blood vessels. But keep in mind that relying on caffeine long-term can backfire, since habitual coffee drinkers usually suffer withdrawal headaches when they cut back on the caffeine. Consume coffee moderately to advance your health. Olive oil is like liquid gold when it comes to fighting pain. It is rich in antioxidant polyphenols that help reduce common pain-causing mechanisms in the body. Olive oil is also a good substitute for butter, but use it carefully as it has 120 calories per tablespoon. 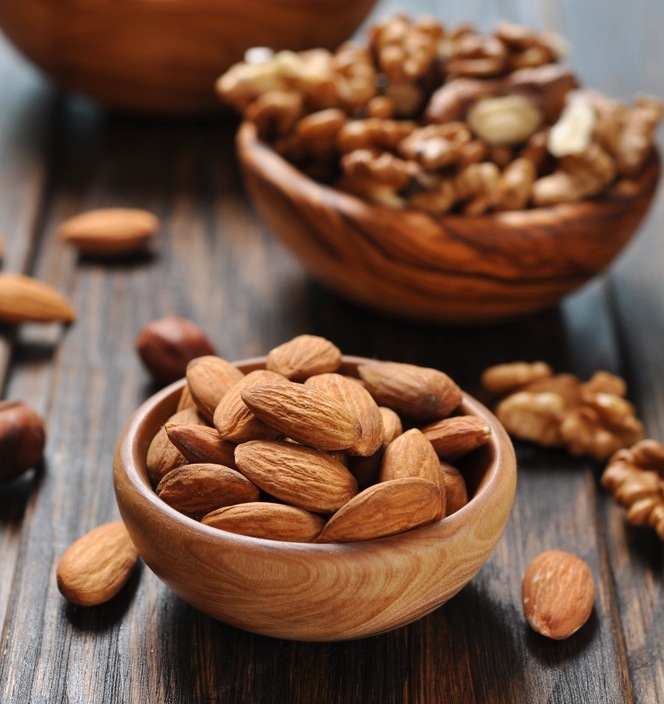 Raw almonds are a great source of Omega-3 fatty acids and antioxidants that help reduce pain. Add those nuts to your salad or just munch on a handful as an afternoon snack. Raw walnuts and walnut oil also contain the same powerful Omega-3 fatty acids that fight pain and inflammation in the body. Research has shown that walnuts are top of the tree when it comes to heart healthy super foods. Greens like spinach, amaranth, fenufreek leaves, and arugula not only have high iron content, but are loaded with Vitamin K that helps maintain strong bones and healthy joints. A study showed that older adults with ample blood levels of Vitamin K were less likely to develop osteoarthritis, compared to a low-in-K control group. However, Vitamin K also helps with blood clotting, so if you’re taking blood thinners, check with your doctor before boosting your K intake. Resveratrol in grapes and grape juice often has an analgesic effect similar to aspirin, according to a handful of studies. Experts, in any case, recommend one daily glass of grape juice for women. Men can get away with more. Freshly-ground flax seeds and cold-pressed flax oil contain plentiful amounts of fatty acids known as Omega-3s. Do not cook with flax oil – it will have the opposite effect, irritating the body’s tissues and causing pain. Many fatty fish like salmon, mackerel, and herring also contain valuable oils. In the body, Omega-3’s convert into hormone-like substances that reduce pain and inflammation. According to Dr. Alfred D. Steinberg, an arthritis expert at the National Institute of Health, fish oil is an anti-inflammatory agent. Fish oil acts directly on the immune system by suppressing 40 to 55 percent of the release of cytokines, compounds known to destroy joints. Many other studies also demonstrate that eating moderate amounts of fish or taking fish oil reduces pain and inflammation, particularly for arthritis sufferers. James Duke, Ph.D., author of The Green Pharmacy, found more than 20 anti-inflammatory compounds in celery and celery seeds, including a substance called apigenin, which is powerful in its anti-inflammatory action. Add celery seeds to stews or as a salt substitute in many recipes. Sore muscles after a workout don’t have to be a given. British researchers recently found that people who drank 1 ounce of concentrated cherry juice twice daily for 10 days bounced back faster from their workout (an intensive leg-resistance training session on day 8) than those who skipped the juice. Researchers think it’s because the anti-inflammatory and antioxidant properties in tart cherries – and other dark red and purple fruit juices like grape, pomegranate, acai, blueberry and cranberry – act as natural NSAIDs (nonsteroidal anti-inflammatory drugs, such as ibuprofen and aspirin), reducing exercise-induced muscle damage. Only two tablespoons of concentrated juice need to be taken daily for effective results. Sweet cherries have also been found to be effective. 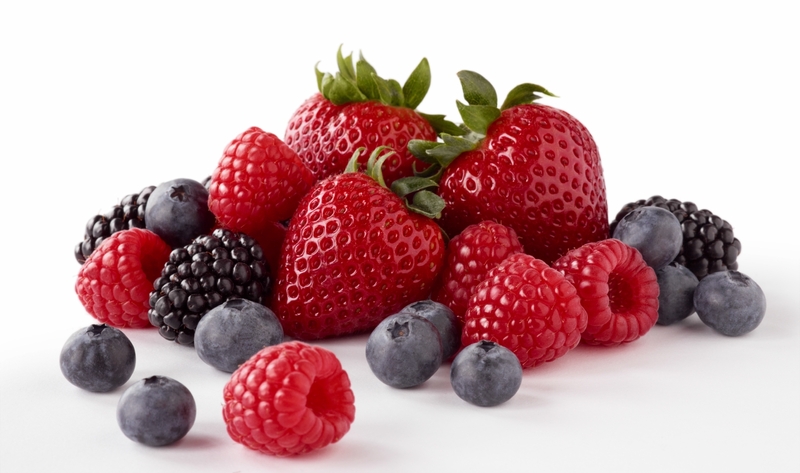 Similar anti-pain compounds have been found in berries like blackberries, raspberries, blueberries and strawberries. They are excellent anti-inflammatory foods. They increase the amount of compounds called heat-shock proteins that decrease as people age. When heat-shock proteins are in short supply inflammation, pain, and tissue damage is the result. They are full of vitamin C, an antioxidant with powerful pain-reducing properties according to research. Some studies suggest vitamin C may help people experience less pain after breaking a bone or having orthopedic surgery. For additional help with reducing your pain please call us at 623-777-3113 to speak with a Licensed Therapist. We are the leaders in therapy and pain relief in our area.